Well thanks, that sounds impressive… I could show you the link to a summary of the rest of the report, but I don’t really like all the automated stuff they list. Their top 10 is a list of all posts and I just want to see the 2014 posts. So I made my own list and I feel that is much more interesting. The new Utrecht cycle parking facility at the Central Railway Station ranks top of the list of most viewed 2014 posts. I am very glad that the best scoring posts this year are nice mix of posts about infrastructure, with junction design, beautiful bridges and parking facilities, but also a post about maintenance. Who would have thought that would interest so many people? There’s a little bit of history and there are some posts about policies, that are typically Dutch, like retrofitting city streets, so they reflect modern views of how cities should function. I am really glad that the posts I think are important to understand Dutch cycling, in all its details, are exactly the ones that score so well. A summary of Dutch Junction Design came in 2nd place. 4. How come there are no pot holes in the Netherlands? The spectatular Zoetermeer Cycle Bridge that made it to 3rd place. This night picture by Alexandre Rotenberg is published with his kind permission. 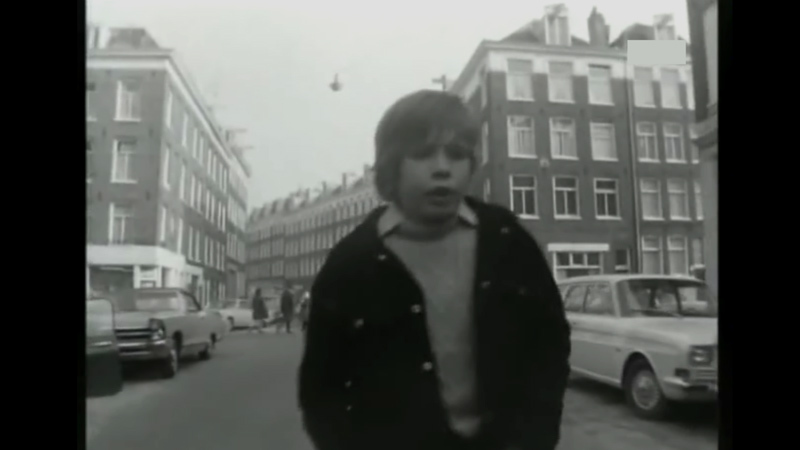 I would like to give special honour to the post that actually would have been number 1, had it not been posted in December 2013: Amsterdam children fighting cars in 1972. Another important story that explains the Dutch didn’t get to where they are now by chance. 4th Place for a post about maintenance of separated and protected cycle ways in ʼs-Hertogenbosch. I published 62 posts in 2014 and I have already lined up quite a few posts for 2015. So rest assured that I will simply continue to write about Cycling in The Netherlands, with all its interesting aspects. I hope they will inspire you, my readers in other countries, to pick and choose those things you think you need to know to help you in trying to get a better cycling climate in the area where you live. Thanks for all your support and have a great New Year’s Eve and a very good 2015! One of the Amsterdam children who were fighting for a better living environment in their neighbourhood in 1972. The post most viewed in 2014, but published in December 2013. Talking about those kids from Amsterdam in 1972. The situation has improved: there is a cyclepath crossing the main streets, so cyclist from the Overtoom can ride to the Albert Cuypstraat with priority over other traffic. And there is a playground between Govert Flinckstraat and Eerst Jan Steenstraat, next to the cyclepath. Nothing to add, you blog is great, Mark. 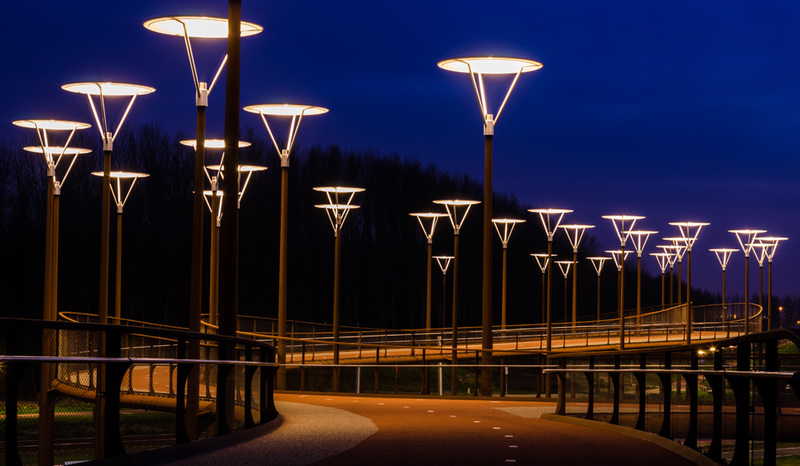 The Zoetermeer Cycle Bridge is a stunning work of art! I think it is as beautiful and stylish as it is functional. I am not surprised that the new facility in Utrecht is the no 1 favorate here, as that to is very very impressive (although my cousin there tells me it needs more markings and signs to make it less confusing to get around). My personal favorite post was the one ranking 4th about potholes. 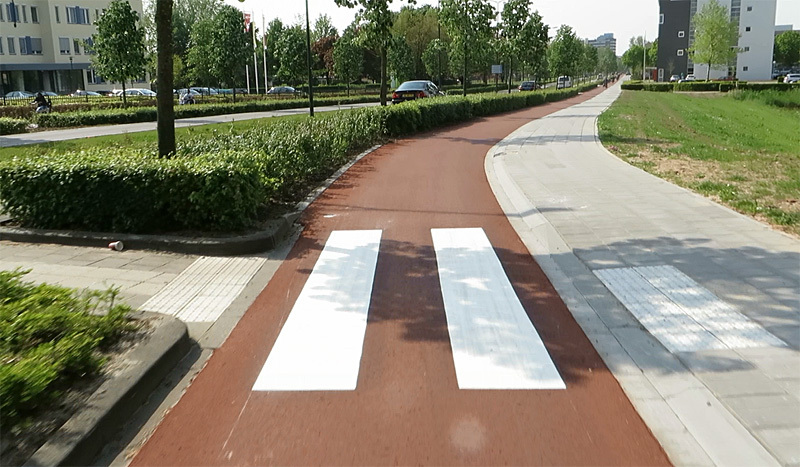 The simple quality of path and road surfaces, is the single most thing that makes me so proud about cycling in the Netherlands – that and how seriously defects are taken to be. I now live in a UK town where it is jokingly so ‘famous’ for it’s potholes and poorly cracked road surfaces, that most cyclists ride full suspension mountain bikes to work! The attitude (sadly) here, is that ‘there are far better things to spend public taxes on, than cycle paths and repairs to roads…. just make more effort to avoid the holes to save the need to spend money etc…’! Hi Mark, I would be interested to know more about fietsersbond, how it is structured and how they get good results at all levels of government. Perhaps interviews with key folks would be interesting. The cyclist union/ fietsbond has a main office in Utrecht, staffed by professionals and local branches with volenteers around the Netherlands. The branches check the traffic situations in their area, they talk to their municipalaty. 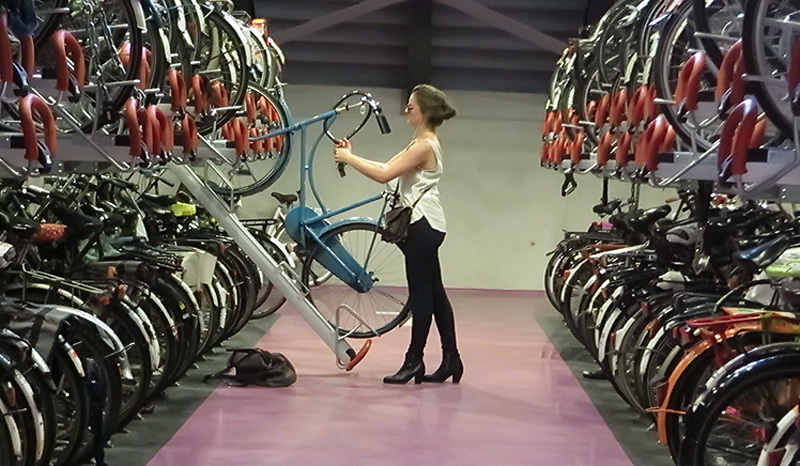 They also check whether new companies and public buildings have adequate bicycle facilaties, such as the new Primark fashionshop in Zwolle, which is not up to standards. Primarks says that cycling parking for customers is a matter of the municipalaty of Zwolle and not theirs. Mark, thanks for all of your contribution in making bicycling for all of us around the world a bit better every year. May you have a wonderful 2015! Happy New Year! Congratulations on the popularity of your blog. It’s encouraging that so many people are interested in cycling. I hope that people from the US are getting ideas from you. We need all the good ideas we can get. Perhaps sometime you could address the clothing that people in the NL wear when cycling. I ride about 30 miles per day and wear wicking lycra clothing because of the perspiration. Also padded shorts are important. I’m interested how the people in Holland stay dry and comfortable. Dear Reid, What types of clothing a Dutch cyclist wears depends on the bike he/she is riding: lycra is worn on racing and mountain bikes, but on city bikes normal clothings is worn. A city bike is not a sport bike, but a transport bike. For women and girls there is even a special saddle, it has the shape of a race track. So their short skirts won´t be tangled on the tip of the normal saddle. Happy 2015 to you too, Mark, and keep up the great work. I suspect there must be those with the power to do something about cycling infrastructure in their particular corner of the world who look to Bicycle Dutch for inspiration. I certainly do! Does anyone know where the kids from the 1972 video are now in life? Thank you/Dank u for your great blog. It’s really nice to have information about a place and a topic that is “mundane”. I mean that in a good way. We tend to only get information about something when something unusual happens. This skews our view of the world. I and many others in North America have been inspired by your blog and David Hembrow’s blog. A few years ago not many people over here knew of your blogs but now it seems everyone is aware of them. On another topic, do we know if the boy in the film from 1972 is still around? I was thinking if this had happened in the U.S. there would have been a TV movie made about it by now. Thanks Clark! There were already people asking about those kids in the post itself and also on Twitter. I did try to Google the children’s names, but they are too common and there are dozens of people with those names. I am sure some of them must still be around. They would be in their early fifties now. But I wasn’t able to find them. This is one of the most creative and interesting blogs I have seen and read in a long time. Each one pulls me into it to read and listen and watch!! These are fantastic! Looking forward to 2015 and some exciting news and pictures about biking in Holland..
Mark doesn’t live in Holland, neither does he work there, but he is Dutch and lives in the Netherlands. Three guesses, figure out why. Most of us Dutch don’t mind when “Holland” is used for the whole of the Netherlands. Most who come from the “Holland” part perhaps, I object strongly! This entry was posted on 31 December 2014 by Bicycle Dutch in Original posts and tagged small things.